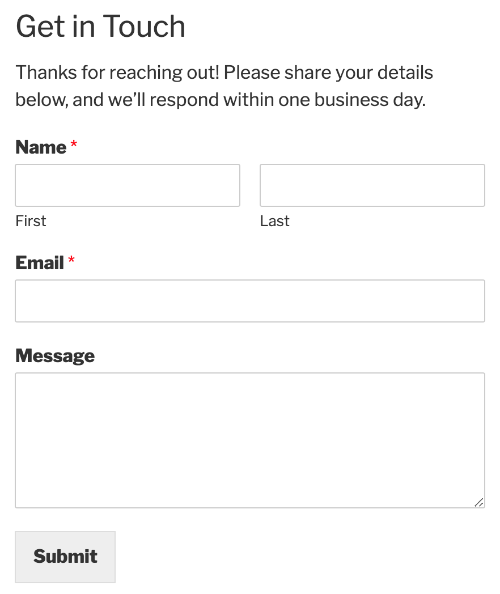 Want to get started creating your first form with WPForms? By following the step by step instructions in this walkthrough, you can easily publish your first form on your site. Note: The steps below are for WordPress version 5 or newer. If you are using an older version WordPress, please see our tutorial about working with forms in the WordPress Classic Editor. 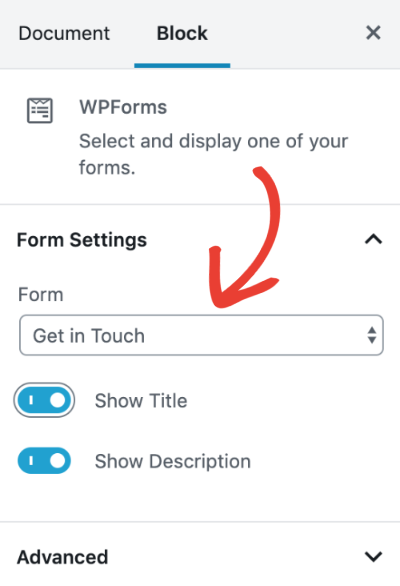 To create your first form, you’ll need to have already installed WPForms. To begin, you’ll need to be logged into the WordPress admin area. 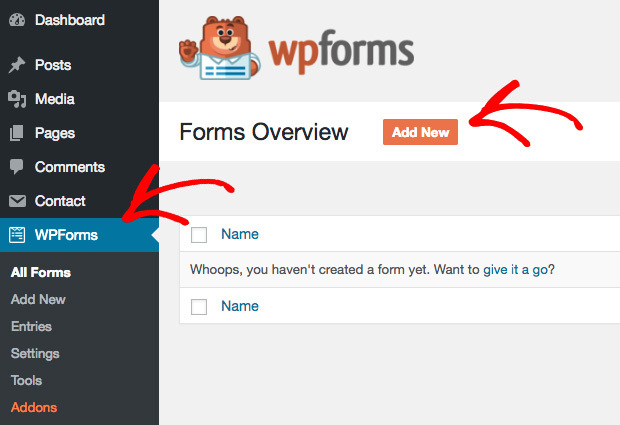 Once there, click on WPForms in the admin sidebar to go the Forms Overview page. 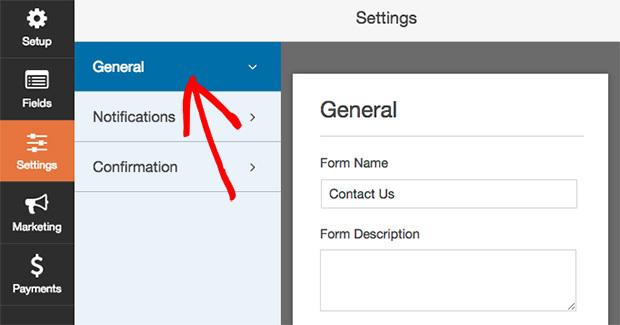 In the Forms Overview page, the forms list will be empty because there are no forms yet. To create a new form, click on the Add New button, and this will launch the WPForms Form Builder. In the Setup page of the Form Builder, you may choose to enter the form name such as “Contact Us” in the Form Name input field. If you prefer not to enter a name, the form will take on the default name of the form template chosen. Below the Form Name input, you’ll find form templates in the Select a Template section. These are pre-built templates of commonly used forms to help you quickly get started. To continue, choose a template and click on it. 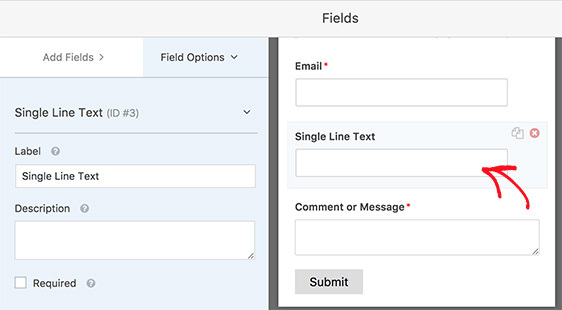 Once you’ve selected a form template, the Form Builder will take you to the Fields section. Depending on your license type, the left panel will show you the fields available for you to choose from. On the right panel, you will see an editable preview of your form. To add a field to your form, you can drag and drop the field from the left panel directly into the form preview. Field options allow you to configure the details and settings of each field, such as field labels and description. To view and edit the field options available for each field, click on the field in the preview screen. The field options will then appear in the left panel. Once you’re done editing the field options, click the Save button to keep the changes. 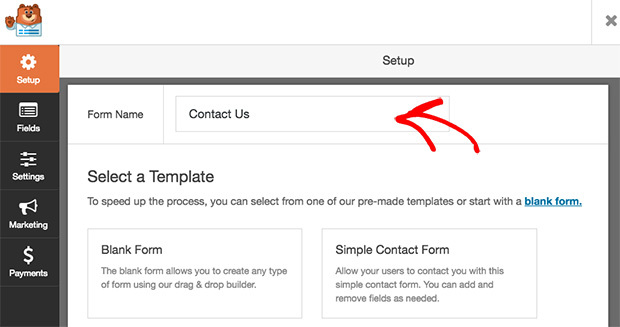 To configure form settings, you can click on the Settings tab on the left side of the Form Builder. The Settings page is divided into three sections: General, Notifications, and Confirmation. In the General section, you can change the form name and description. You can also customize the submit button and turn on/off honeypot spam protection. Form notifications are automatic emails that are sent out when users submit forms. In the Notifications section, you can configure the settings according to your preference. Form confirmations are ways to inform users that they have successfully submitted a form and to provide more information and options to users. For more details on Confirmation settings page options, check out our tutorial on setting up form confirmations. Once you’re done setting up your form, click on the Save button at the top to save the form. Then, click on the X button to exit the form builder. There are different ways to add forms to your site. Here we’ll look at how to display forms on your site within a page or widget. To begin, you’ll need to create a new WordPress page or edit an existing one. Once, you’ve opened the editor, you can add a new block by clicking the + (plus) icon in the upper left corner. Once you’ve clicked this icon, a menu of block options will display. 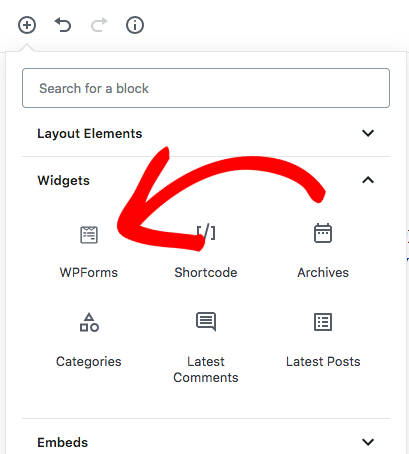 To locate the WPForms block, you can search “WPForms” or open the Widgets category. Then click the block named WPForms. This will add the WPForms block to the editor screen. Next, go ahead and select the form you want from the Select a Form dropdown. After selecting a form title, the full form will display within the WPForms block. On the right side of the screen, you’ll see some additional options for the block. Choose a different form within the Form dropdown. Make extra form details visible with the Show Title and Show Description toggles. (For Advanced Use Only) Under the Advanced section, add CSS classes to your form. A WordPress Widget is a small block of content on your site that performs a specific function. For instance, you might add a form to the sidebar or footer of your site. To do so, you’ll need to use the WPForms widget. 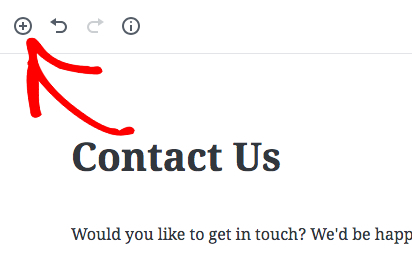 To get started, in the WordPress admin area navigate to the Widgets page by selecting Appearance » Widget in the left sidebar. Then in the Widgets page, scroll down to find the WPForms widget. Next, drag and drop the WPForms widget to a widget location of your choice. Then, click on the WPForms widget to select your form. Finally, click on Save. 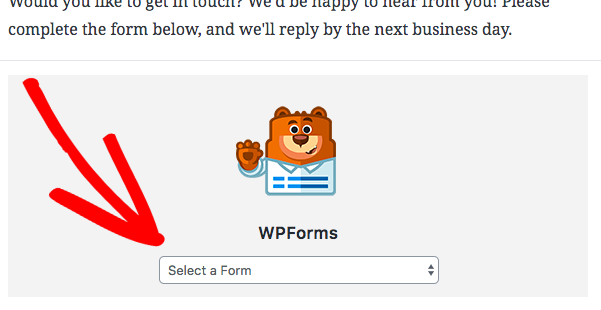 Congratulations, you’ve just created your first form in WPForms! Next, please be sure to test out your form. We’ve created a detailed testing checklist to help ensure that your form looks and works just how you’d like.